Say YES to a joyful UnBusy Life with your loved ones by learning the art of saying no. This one tip from The Life on Purpose Movement will change how your no’s are received. We were four feet apart from each other, on the floor of our local gym. She was stretched across an exercise ball; I was attempting to hold a forearm plank. I set a knee down onto the ground, pausing my physical exercise so I could let my brain run through what she’d just said. This was a benefit of saying no that I’d never thought of before. I knew what saying no did for me: it gives me time to focus on the things I really care about, it spares me the stress and anxiety of an over-full calendar, and it clears out space inside my head. But this was something that receiving “no” did for her. For my friend. It benefited both of us. If you consistently decline offers and requests that come your way, over time the people around you will come to know that you mean it when you accept. When you say yes, they’ll know it aligns with your values and feels right in your heart. They won’t have to wonder if you’re accepting out of guilt or obligation. With my knees still on the ground, I tried to recall all the times I’d said no to my friend. Am I really saying no that often? I thought. I offer my help in a heartbeat if she needs something, because being there for friends is something I try to prioritize. But she’s also more extroverted than I am, so she plans the social events for our friend group, and I come whenever it feels right. But if my family’s weekend is already a bit full, I’ll say no to make sure we keep our white space. Or if she suggests a girls’ night out and I know what I need is a night in with a good book, I’ll tell her. She laughs at my honesty; I make fun of myself for guarding my calendar so vigilantly. It’s a beautiful friendship. Although I practice it regularly, I’ve never completely lost that sinking feeling that comes with saying no. For those few moments, I’m never on sure social footing. I want to help people out, to be a team player, to contribute to the cause, and honestly, to be liked. But even more than that, I want to be true to my core. I want to live the life that feels right for me. So I work hard to think of saying no as saying a bigger yes. A yes to slow afternoons with my kids, a yes to my creative interests, a yes to weekends of exploring as a family. A bigger yes. My advice is to be honest about why you’re declining. And not just the immediate why but the overarching why. In this digital era where we can portray ourselves any way we want to, people are craving authenticity. We long to know that others are struggling to find a shred of balance, a little clarity in a noisy world. Share who you are, who you’re trying to be. If you’d like to try opening up the next time you need to say no, I think you’ll find that even one sentence can encapsulate your values surprisingly well. I’m not saying you need to bare your soul to every person who requests something of you. But if you’re looking to build a long-term friendship—or even if you’re just willing to spark some conversation and maybe inspire someone to take steps in the same direction as you—an honest, authentic answer opens the door. A minute later, I pushed myself off my workout mat, stood up tall next to my friend, and said no, she shouldn’t plan on our family joining hers for a road trip down to Mexico (in the moment, it felt like it would take too much mental bandwidth), but yes, I’d happily bring guacamole to this weekend’s swim party. If you enjoyed this post, I think you’d enjoy Erica’s 10 Questions to Discover Your WHY, designed to help you find more personal clarity and pare back to the essentials. Learn more and sign up to receive them for free, right here over on The Life on Purpose Movement. Erica Layne is a sunset chaser and a mom of three living in the San Francisco Bay area. 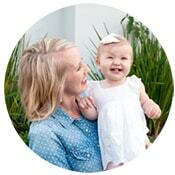 She writes The Life on Purpose Movement, a place for wholehearted women building wholehearted families. She’s passionate about living fully and filling her family with love and belonging—and helping other women do the same. For regular reminders of the big picture, connect with her on Facebook, Pinterest, or at The Life on Purpose Movement.